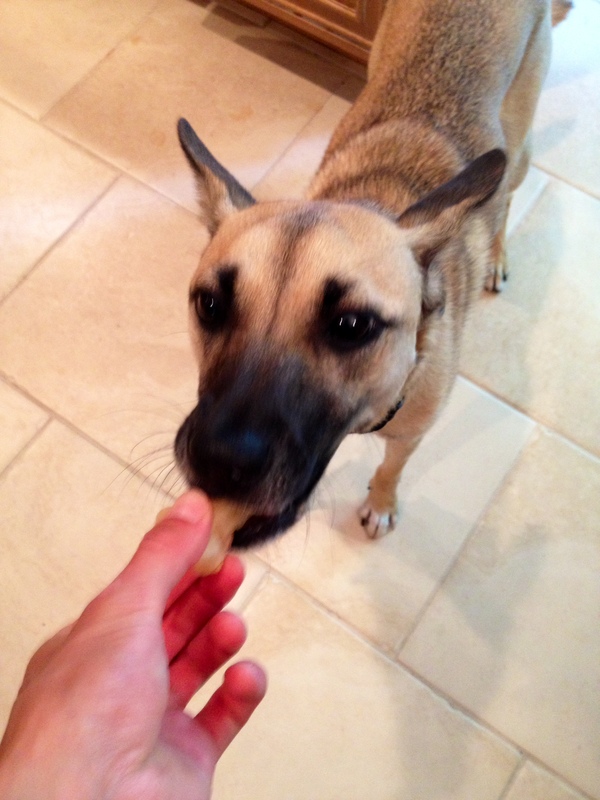 I have found that Freezy Pups, basically a doggie popsicle, are the perfect treat for my dog on a hot day. 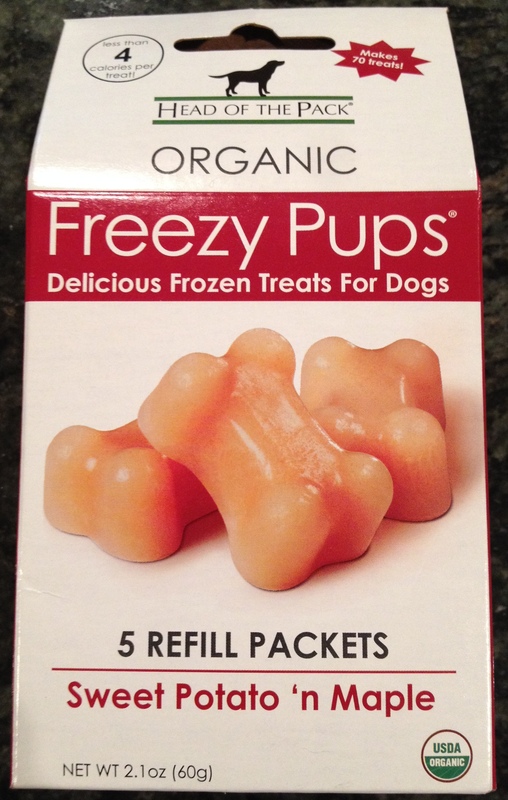 Freezy Pups come in four different flavors: chicken soup, white cheddar cheese, sweet potato ‘n maple and juicy apple. All flavors are gluten-free. Both the sweet potato ‘n maple (just sweet potato and maple) and juicy apple (just organic apples) are even vegan! 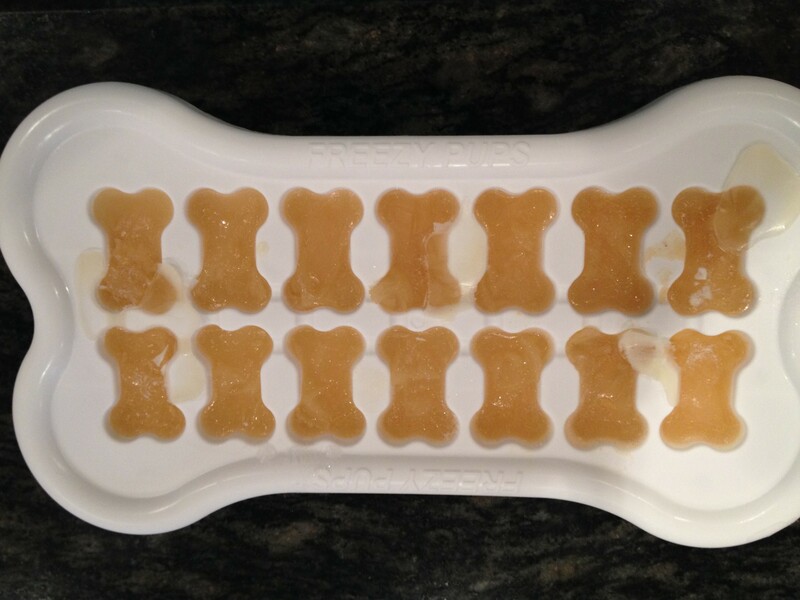 You have to buy there special bone-shaped mold, but I assume you could make them easily in a regular ice cube tray, too. Each refill pack comes with five packets that make 14 treats each. All you have to do is mix a packet with seven ounces of hot water and then pour into the molds and freeze. Rynoa always gives them a big paws up!